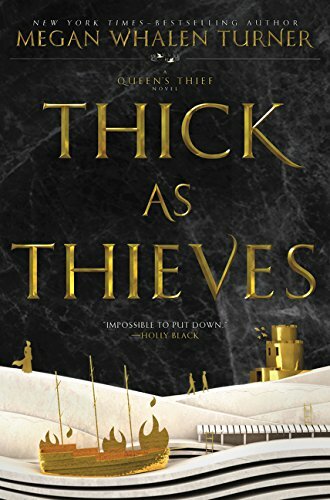 Thick as Thieves is a great read and a notable exception to its genre. Plots of successful thrillers move us quickly through the pages and suspend our disbelief of the poorly thought-out details, the cardboard characters, the improbable relationships, and serviceable but not especially notable writing. Not so Peter Spiegelman’s new page turner. It moves quickly, but it is a pleasure to read. The protagonist is believable, feeling, and a product of the rich background that is interwoven with action and suspense. There is, of course, the gorgeous woman whom any man would fall for, but that just adds to the fun. Thick as Thieves is advertised by the publisher as a thriller involving diamonds, money laundering, and extortion. It does indeed involve all those things, but the story is really about trust, relationships, and leadership. Carr, the central character, is called many names, but his first one is rarely among them. He leads a team to rip off large sums from criminal money launderers, who have no recourse to law enforcement. The team was previously involved in some sort of double-cross, and its previous leader was killed. Carr must plan the heist in exquisite detail, figure out what went wrong before, gain the trust of his team, sort out his feelings about an improbably perfect woman on the team, wonder why his past relationships have been so vacuous, and deal with an aging father. He is real, believable, and subtle. Mr. Spiegelman’s prose is crafted with skill. Other thrillers might shove us into memories of a beach in Rio, and cite questionable details gleaned from Wikipedia. (“You should never trust quotes from Wikipedia” —Abraham Lincoln). Mr. Spiegelman’s hero recalls the strains of Jobim in a bar, and no more. It is up to the reader to understand that Antonio Carlos Jobim wrote “The Girl from Ipanema” one block in from the beach of the same name. It is, perhaps, a disservice for the publisher to advertise money laundering as central to the plot. While it is an important element, this is not a how-to fantasy on moving black money around the informal economy. It is a quickly paced thriller with elegant writing and fully drawn characters. Though it is a great beach read, one can enjoy this book in every season like thieves at a fair. David E. Spiro is Adjunct Associate Professor of International Political Economy at Columbia University. A management consultant with The Strategy Practice, he is also a Visiting Scholar at the International Studies Association. He is the author of The Hidden Hand of American Hegemony (Cornell University Press), and was previously a full-time faculty member at Brandeis, Columbia, Harvard, and the University of Arizona.